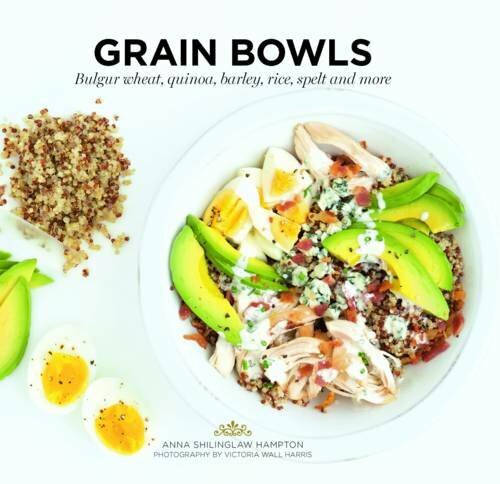 Looking for quick and healthy dinner ideas? 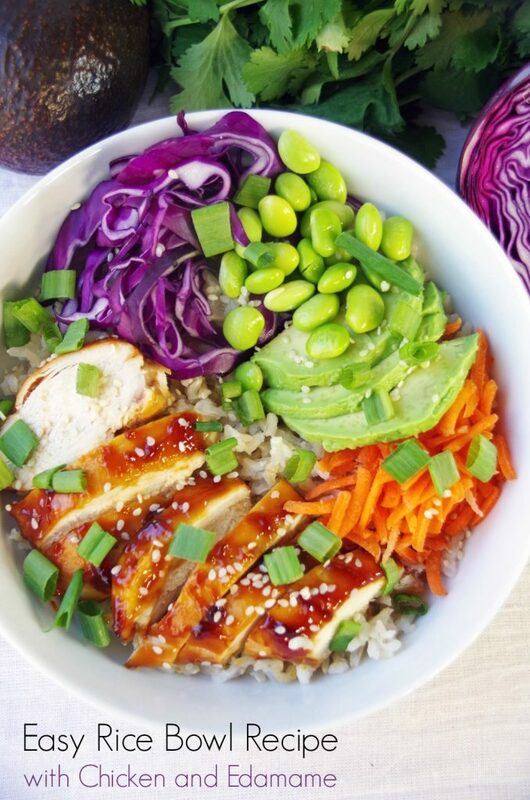 This easy rice bowl recipe is just the thing you need. 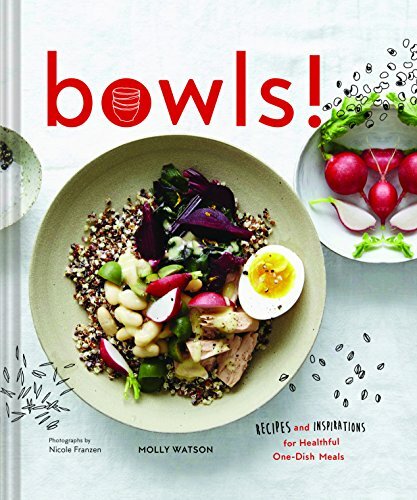 Rice bowls are incredibly flexible in terms of which meats, veggies, and flavors you combine. 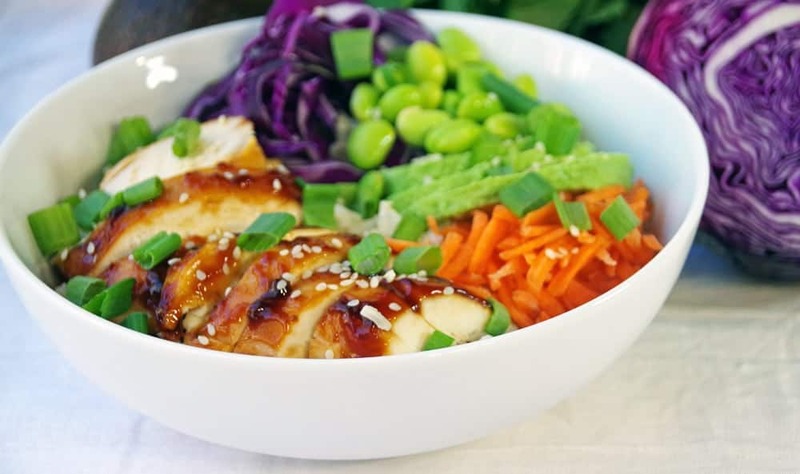 I chose to use boneless chicken breasts baked in a sweet teriyaki glaze and tossed in lots of raw vegetables with the brown rice. 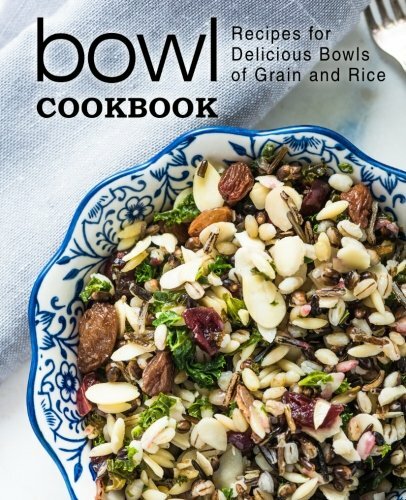 The great thing about most rice bowl recipes is that all the fixins can be made ahead of time. That means your weeknight dinner plans just got a whole heck of a lot easier and you have no excuse for not eating healthy! The key with health eating is to make sure you include a wide variety of colors in your diet. Orange carrots and purple carrots are deliciously healthy choices for your rice bowl recipe. I also sliced up some avocado for those healthy fats. Then I tossed in some fresh edamame because they are loaded with good for you nutrients. Layer on all the delicious bits and pieces of this recipe and dinner is on the table in a flash! I prefer to use brown rice since it is so much higher in fiber than white rice but either will work. Try variations on the sauce you use or the type of protein. Salmon rice bowls are a great twist on traditional seafood dinner recipes. Bake for 20 to 25 minutes at 350 degrees or until chicken is no longer pink inside. Remove from oven and let cool slightly. Cut into slices. 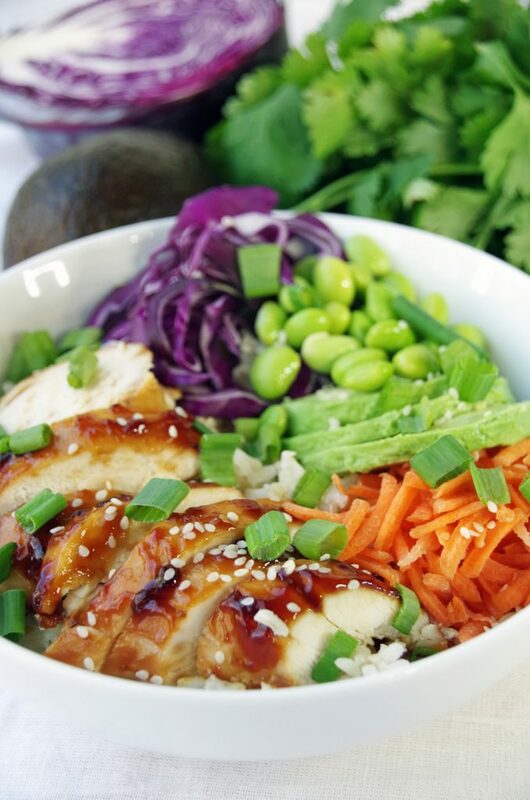 Like this Easy Rice Bowl Recipe with Chicken and Edamame?